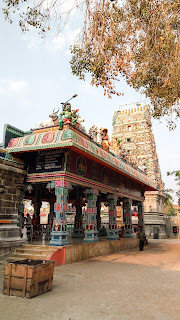 One among the navagraha temples in Chennai, significant for Guru. 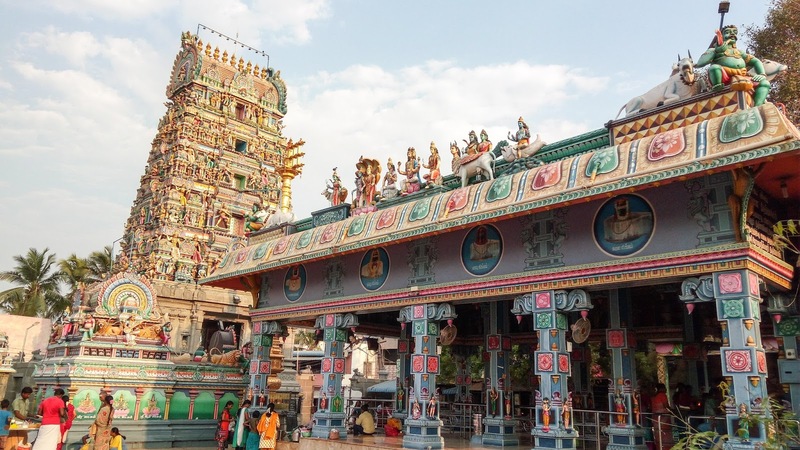 Referred to as Utthara Rameswaram in ancient times, equivalent to worship at Rameswaram. 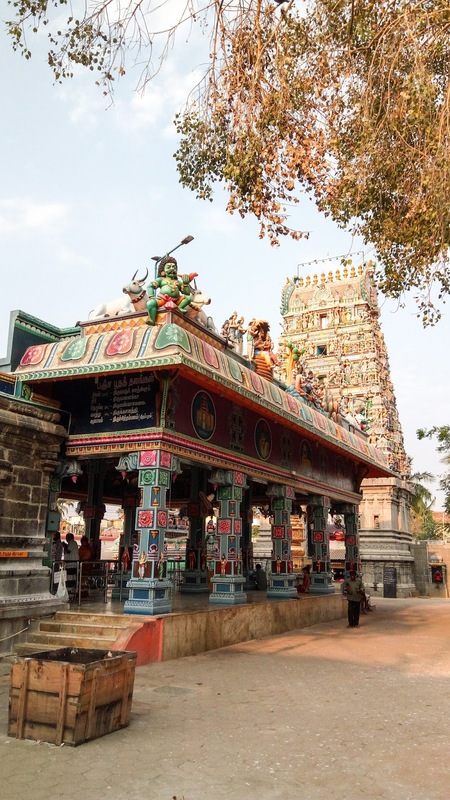 Six feet Shiva lingam along with Trident offers magnificent darshan to the devotees. 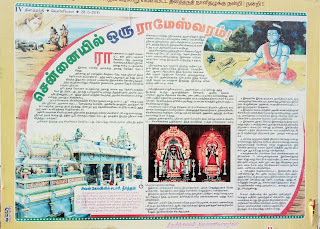 There is a separate shrine for Baivarar inside the temple premises. 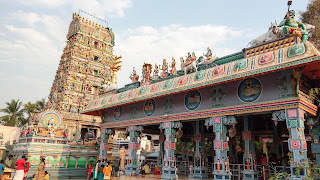 As per the temple legend, Sri Rama on His way to Sri Lanka rested here in this place which was then a forest. While resting under an Amla tree, He realized that there was a Shiva Lingam under the ground and his feet had touched the head of the Lingam unknowingly. Sri Rama felt that He as committed a sin by stepping on the Lingam with His feet. He undertook a penance towards Lord Shiva for 48 days with just one Amla fruit per day as his food, to absolve his sin and to bring out the Shiva Lingam. 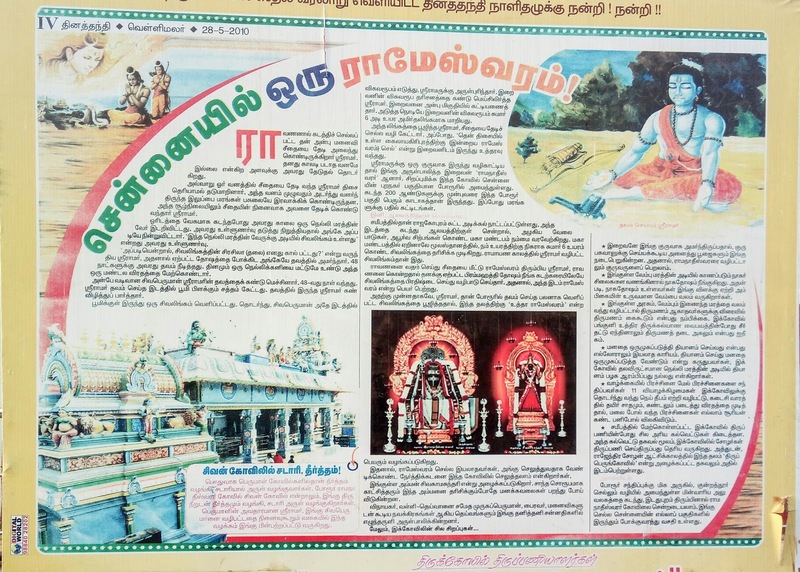 Lord Shiva pleased with Sri Rama’s penance came out from the earth and gave Viswaroopa Dharshan to Sri Rama. Sri Rama overwhelmed by the Lord’s mercy named the Shiva Lingam as Sri Ramanaadheswarar and worshipped Him. Goddess Parvathi too appeared and gave Dharshan to Sri Rama as Sri Sivakaama Sundhari. Lord Siva provided Rama the directions to reach Sri Lanka where Sita was taken as captive of Ravana. Thank you sir. I have corrected the typo. Om Namah Shivaya. Good work. Dear Kamesh, Kindly share your number, so that I can share with you, details of certain temples which I have visited. you could add them on to your Blog. Om Namah Shivaya. Even in his subtle form, Swami continues to touch the hearts of the indigent people through the initiatives undertaken by His ardent devotees. It is good to see people working hard to create smiles on the faces of needy people. Learning is an ever-evolving process. Each and every instance shapes our life in one way or the other.